He was busting my chops, sure, but it dawned on me that yeah—Wonder Woman is absolutely who I would choose. She is flawless. At that point, I’d already been religiously reading her comics for about five years or so, and I loved everything about her mythology and character (which, in that era, had been rebooted for the second time). She was incredible to me. My extended monologue on why my friend’s teasing “accusation” was actually a factual statement didn’t help me win any cool points, but it was a pivotal moment in my burgeoning geekdom. Fast-forward to June 4, 2017: the opening Sunday of Patty Jenkins’s Wonder Woman, a film I’d been literally waiting decades to see. The lights dimmed, and there it was. Yes, as many others will surely tell you, the film is phenomenal. It’s everything it needed to be and then some. But in addition to reverence for the source material, unapologetic themes of feminism, and the remarkable performances and action sequences, the groundbreaking, female-centric, nearly trope-free masterpiece of modern motion-picture storytelling was also a pioneering exercise in for at least three more reasons. In the film, the character of Artemis is portrayed by eight-time world championship boxer Anne Wolfe. Wolfe is an African American woman, but the pigmentation difference between her and the character as she’s traditionally been depicted in the comics hasn’t been mentioned much outside of certain angry Twitter replies and negative trolls in various subreddits. Director Patty Jenkins tweeted her unwavering support of the casting back in March. In the comics, Artemis is one of the Queen’s Guard and easily the most formidable Amazon—aside from Diana, of course. She is so imposing, in fact, that she actually held the mantle of Wonder Woman for a time (in the fantastic 1995 story line The Challenge of Artemis by William Messner-Loeb). 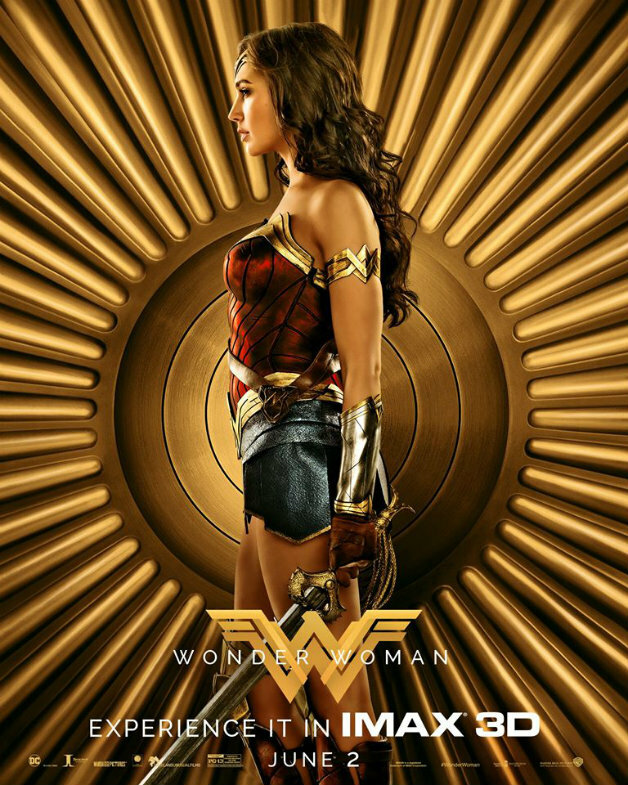 To cast a championship boxer in the role might not be that much of a stretch, but that Wonder Woman cast a black woman in the role of a character typically drawn with non-black features, and did so with minimal fanfare and promotion—as well as extending that to the rest of the Amazons of Themyscira, who in this film are quite possibly the most diverse fantasy nation in the history of fantasy—leads me to think that Jenkins, along with casting directors Kristy Carlson, Lora Kennedy, and Lucinda Syson, made their decisions based on the portrayal capabilities of the performers rather than excluding, tokenizing, or pandering. As legendary powerhouse Shonda Rhimes has been trying to tell us for years now, when you make casting decisions based on story and talent, you’ll naturally wind up with a diverse cast—but that’s a larger conversation, and I want to keep talking about Wonder Woman. It wasn’t just the Amazons, either. Jenkins and her casting team balanced out the remarkably diverse CB casting of Amazons with direct-line casting of Wonder Woman’s support team. 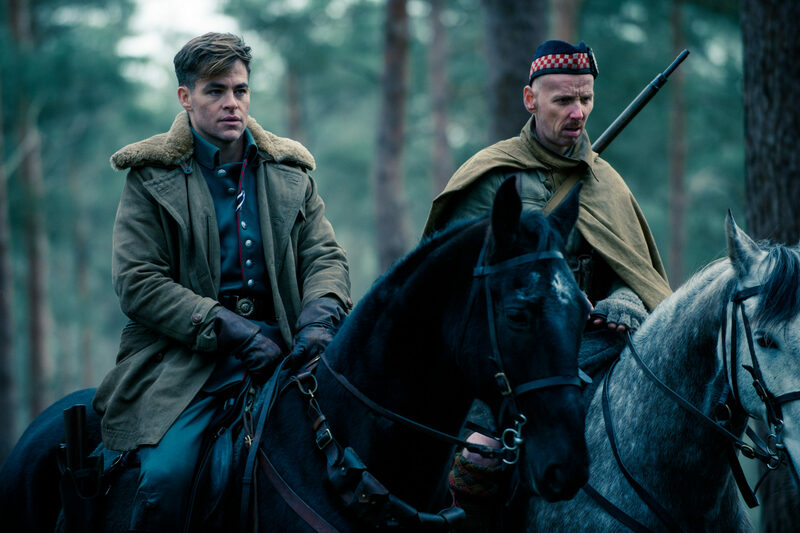 It seems that, rather than deal with potential callout-culture fallout, they cast American actor Chris Pine as Steve Trevor, an American working in England, with a team that includes Scottish actor Ewen Bremner as Charlie, a Scottish sniper; French-born, Saïd Taghmaoui (who has Berber-Moroccan ancestry) as the multilingual Sameer; and, perhaps most strikingly, Eugene Brave Rock, a member of the Blood Tribe from Alberta, who speaks in his native Blackfoot language onscreen and is given more than just two dimensions to work with, as the Chief. 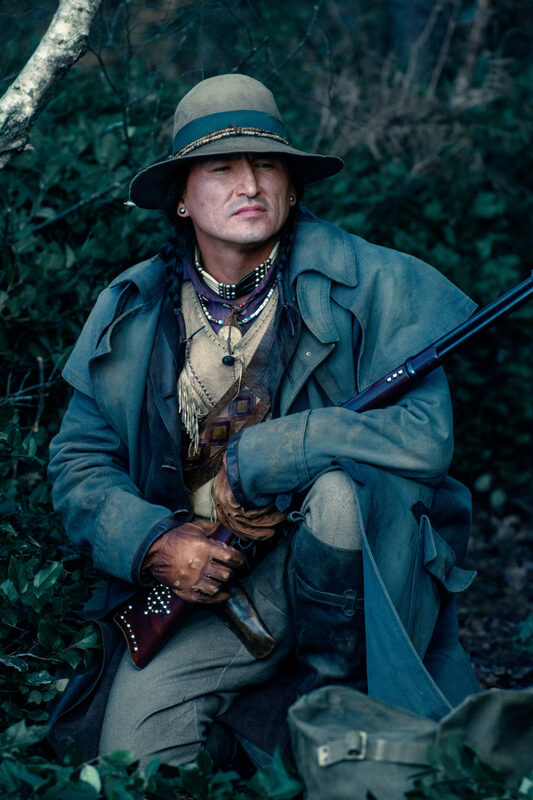 Unlike the directors of the vast majority of World War I films—of which, admittedly, there aren’t many—Jenkins actually visualized the people fighting in this era as something other than a bunch of American white guys. Speaking of the guys, for all the undeniably well-deserved praise of womanhood, this film also highlights and develops genuinely compassionate, platonic relationships between straight guys—straight adult guys, outside of a sports arena and/or after-school special. As someone who watches a first-run film in theaters every week, I’ve seen a lot of movies (a lot of movies); and as a straight adult guy, I’ve got a some straight adult guy friends. To see that relationship portrayed on film was a surprising and welcome addition to an already incredible piece. Granted, they took some liberties in making Steve Trevor be Diana’s love interest (which he hasn’t been since the Golden Age of comics, and a bit of the Silver Age). 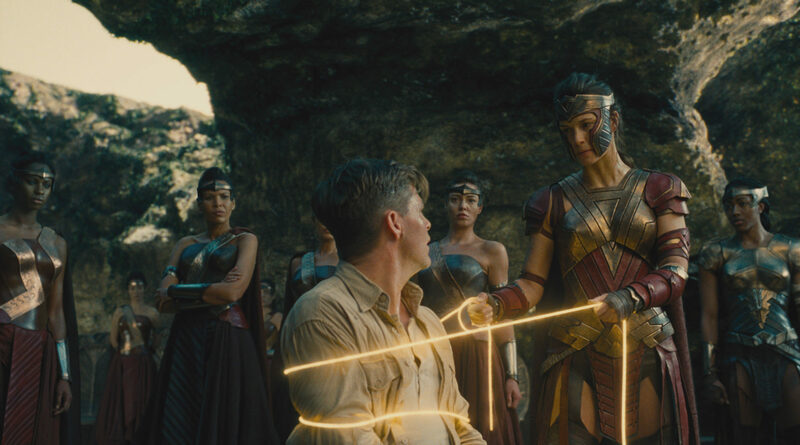 But as Briana Lawrence pointed out in her review of Wonder Woman here on Twin Cities Geek, the relationship between the Princess of Themyscira and the American spy plays naturally and feels extremely un-Hollywood, in a good way. Speaking of un-Hollywood, the most amazing aspect of Wonder Woman is how the film breaks trends in terms of traditional story and character arcs. It is, is in essence, a prequel, the entire thing being a flashback to events that occurred decades before Wonder Woman’s DC Extended Universe debut in Dawn of Justice. It’s a bit of story putty—the plot is framed as Diana answering a question from Bruce Wayne about a photograph taken at an event that occurs halfway through the film, so why she decided to go all Ted Mosby with an hour of back story prior to the answer he was looking for (as well as another forty minutes afterwards) is a little unclear. But it is a welcome quirk, especially since it’s saved by the postproduction end scene, which I absolutely won’t spoil. Hollywood has a very specific formula: make money. There are literally thousands of livelihoods and millions, sometimes billions, at risk with every major production. That’s why you see so many reboots and sequels and remakes and whatnot. Sure, there is more than a little truth to the snarky jokes about suits and studios being afraid to take risks, but if you had roll the dice dozens of times per year with the same stakes, most people I know wouldn’t be so quick to greenlight the untested and the unknown. That’s part of what makes Wonder Woman even more special. You’ve got to remember that when Patty Jenkins signed on, she had one previous directing credit and seven television directing credits, and that’s it. The screenplay was by Allan Heinberg, an openly gay comic-book writer and TV producer/writer who had written zero previous studio-produced, feature-length films. An untested screenwriter and a relatively inexperienced director were given $150 million and the reins for the first film of the most well-known female super hero in existence? When you look at it from that perspective, the hope—at least my hope—is that the film’s success means more suits and studios will start taking more (still calculated and strategically planned) risks with bigger properties to tell a wider array of stories, around a vast number of characters from a vast number of sources. Hollywood more than anything follows the money, and the industry just received indisputable proof that a diverse, female-fronted tentpole picture can deliver nuanced relationships, feminist themes, and a hell of a good time under the guidance of a talented director and writer (even if they have super short reels). Here’s hoping the production slate of every studio in Tinsel Town follows suit.